This is an advertisement feature. 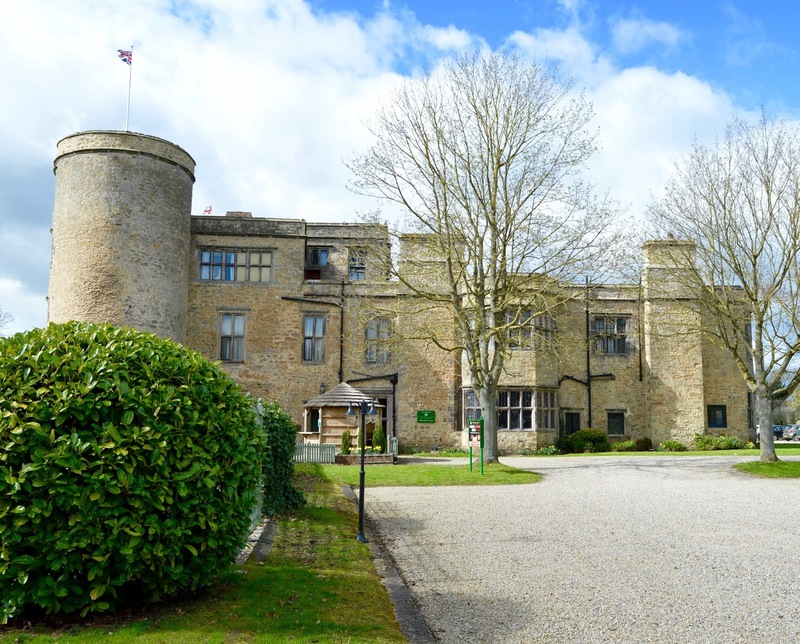 As you approach Walworth Castle, you can't help but be impressed by the exterior. 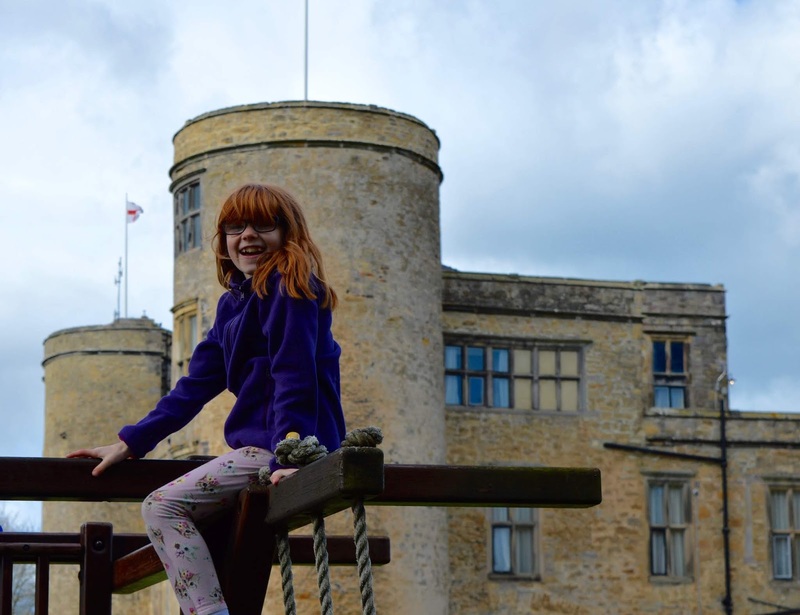 We pay good money to visit castles up and down the country and make good use of our English Heritage and National Trust memberships but being able to enjoy Sunday lunch in a proper castle is a new experience for us. The grounds are beautifully kept and as soon as the kids spotted the playground to the side of the castle, they were off. 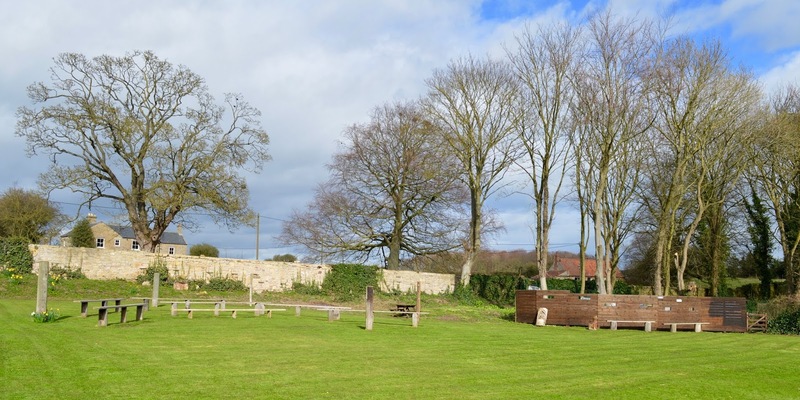 I like how there's various outdoor seating overlooking the park and I bet when the weather warms up a little, it's a lovely place for parents to enjoy an al fresco drink as they watch their children play. 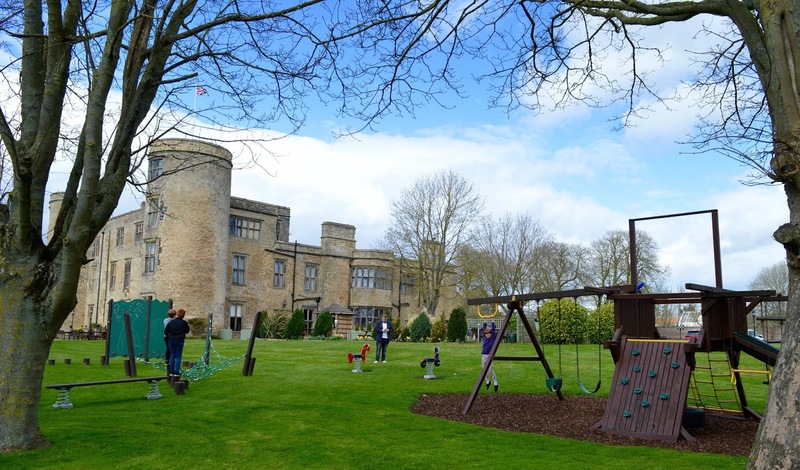 As playgrounds go, Walworth Castle's is a pretty good one and there was something for all ages from challenging obstacle courses to mini climbing walls, slides, swings and balance beams. My three loved it. 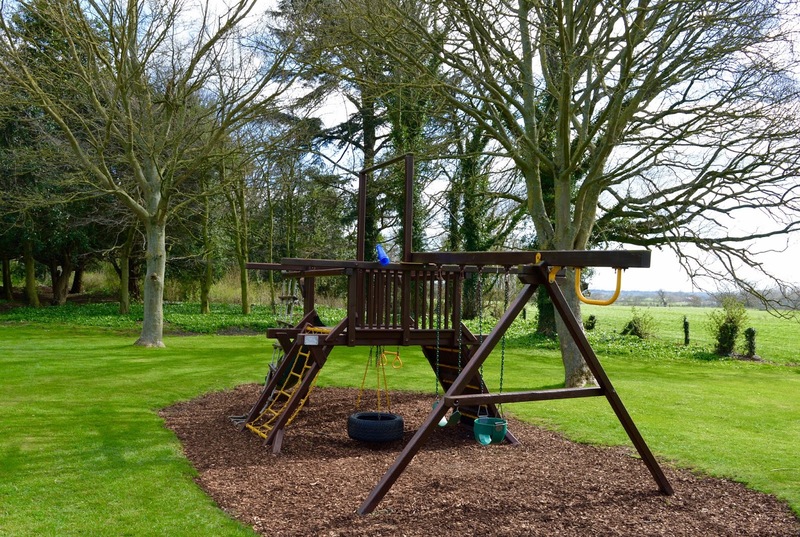 The park is free to use for diners or guests staying at the hotel. 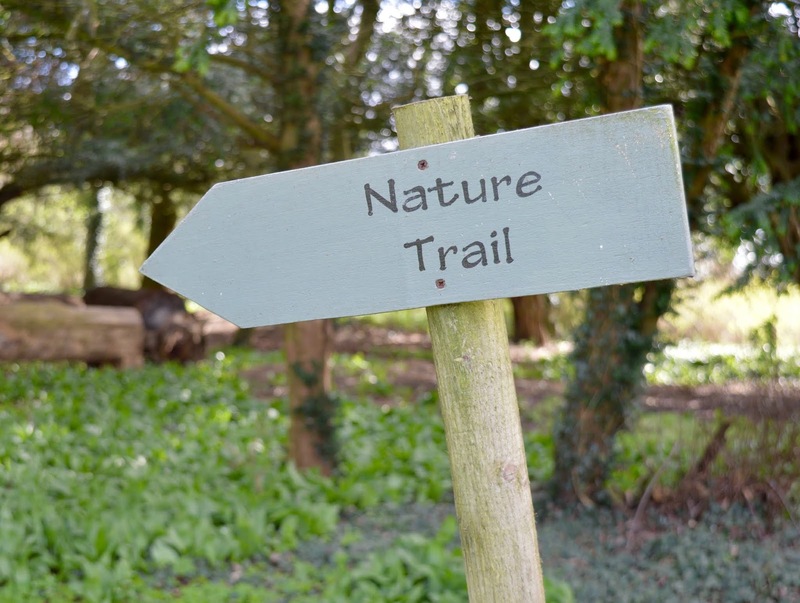 Just behind the park is a nature trail organised by Walworth Birds of Prey (the trail and centre will open over Easter - check their website here for details and there's more info below). 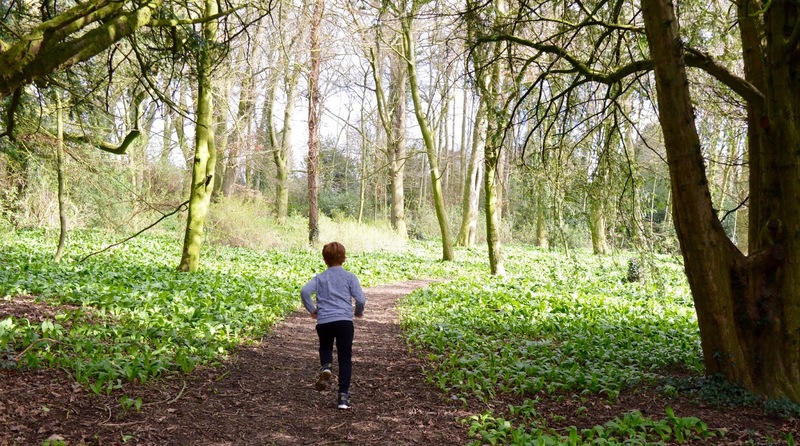 Follow the trail through the ancient woodland and spot the hidden creatures in the trees. 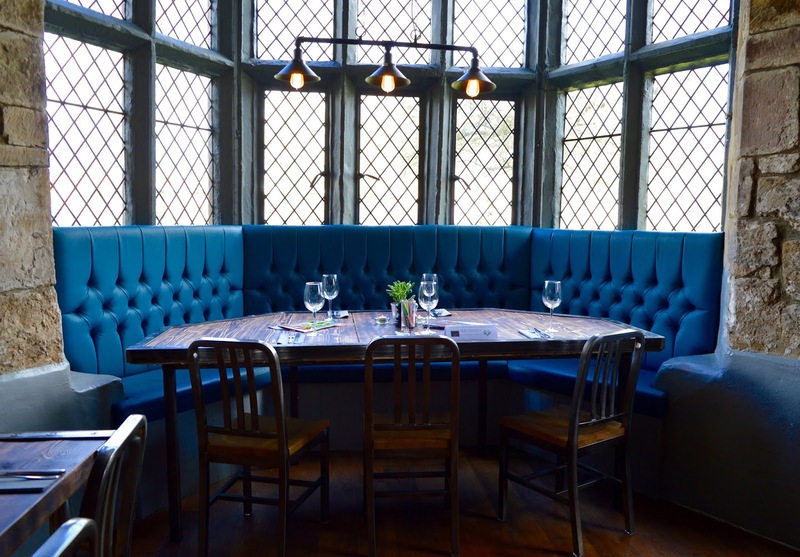 We booked Sunday lunch in the newly refurbished 1189 restaurant. It's gorgeous inside and I love how they've kept so many original features yet updated the space with modern twists. 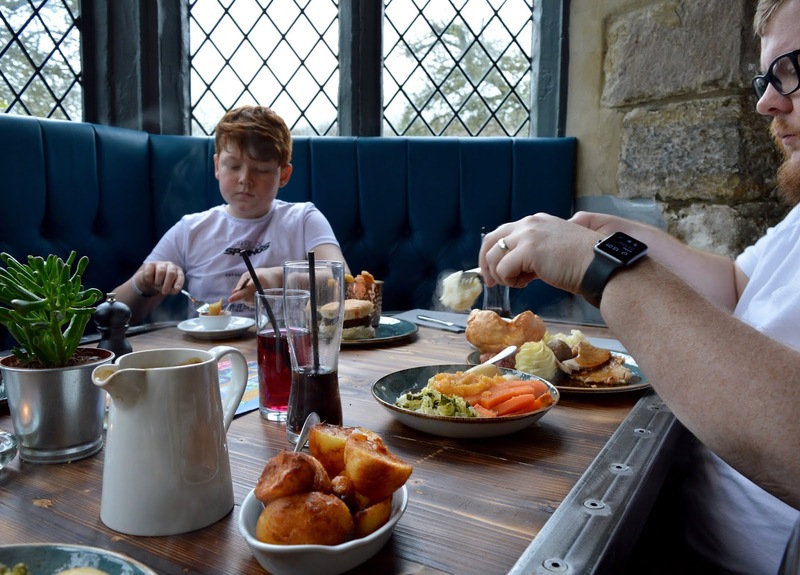 Families are more than welcome here and although dining in a castle does feel slightly more formal than popping to the local pub, the atmosphere was nice and informal and I didn't feel out of place taking the kids in their trainers and hoodies. Service was exceptional throughout and all diners in the restaurant were checked back on multiple times throughout their meal. 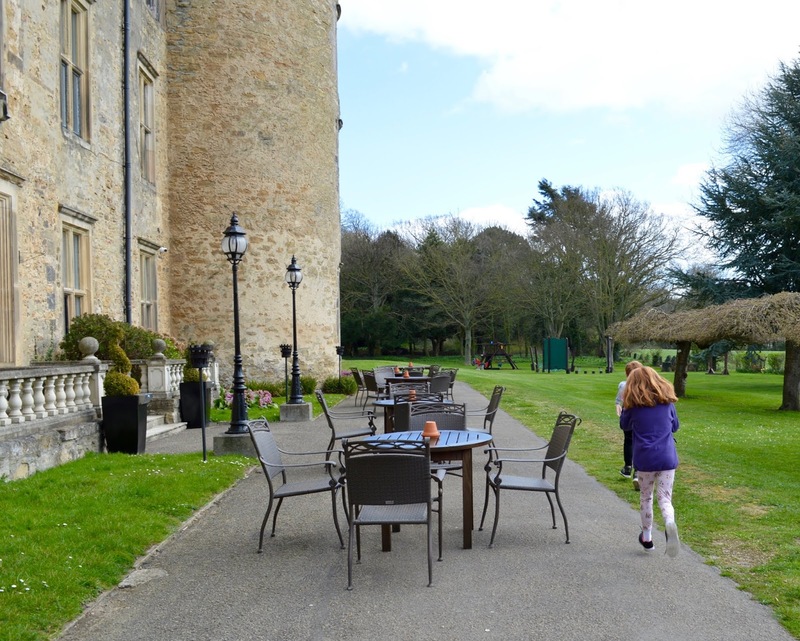 If you're looking for something a little less formal, the conservatory restaurant on the other side of the castle also serves a Sunday carvery with locally sourced produce for just £10.95 per person. 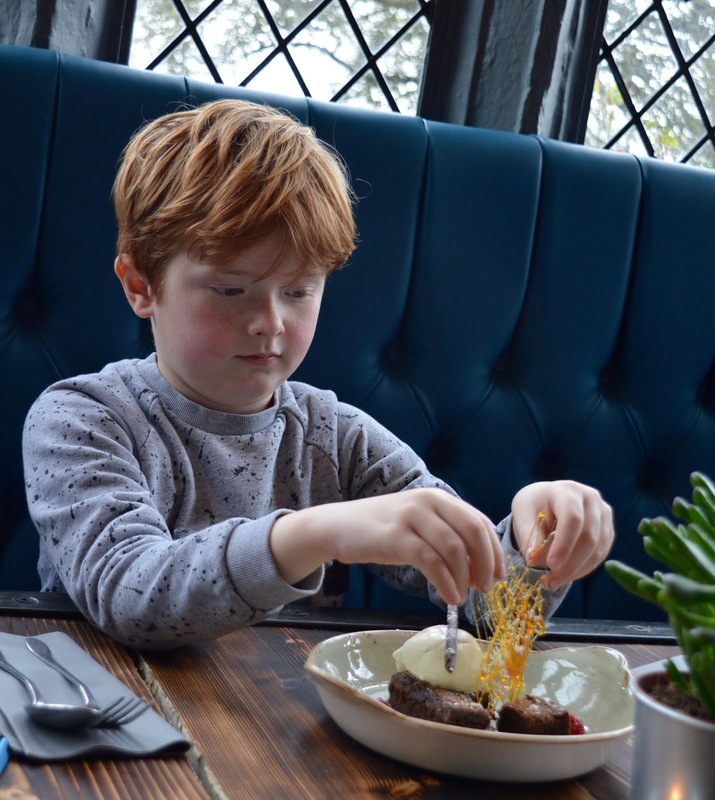 I much prefer table service when dining with kids though as I find it so much more relaxing. The kids were welcomed with activity packs which kept them entertained. Service was prompt and there was never really an opportunity for them to get bored. 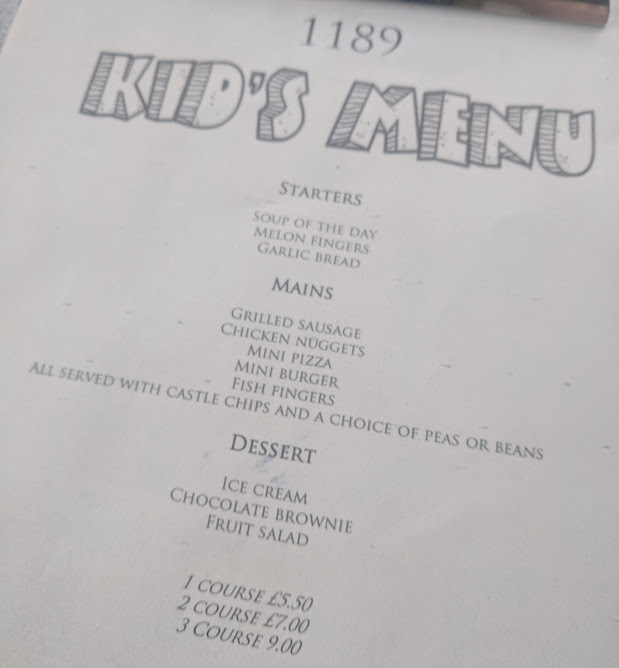 The kids menu is reasonable at 2 courses for £7 which is a pretty standard price these days. 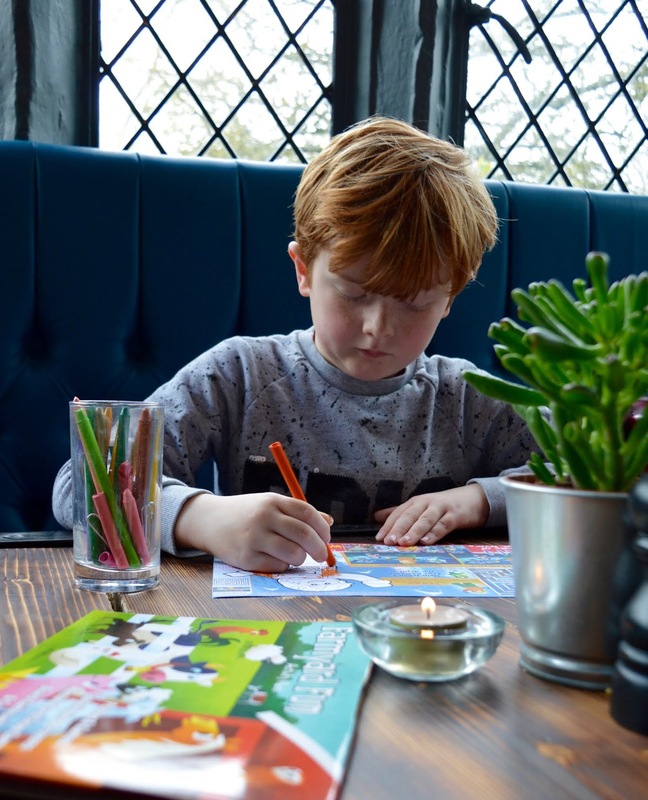 I was pleased to see that everything on the children's menu was all homemade too - it's a pet peeve of mine when children are an afterthought! 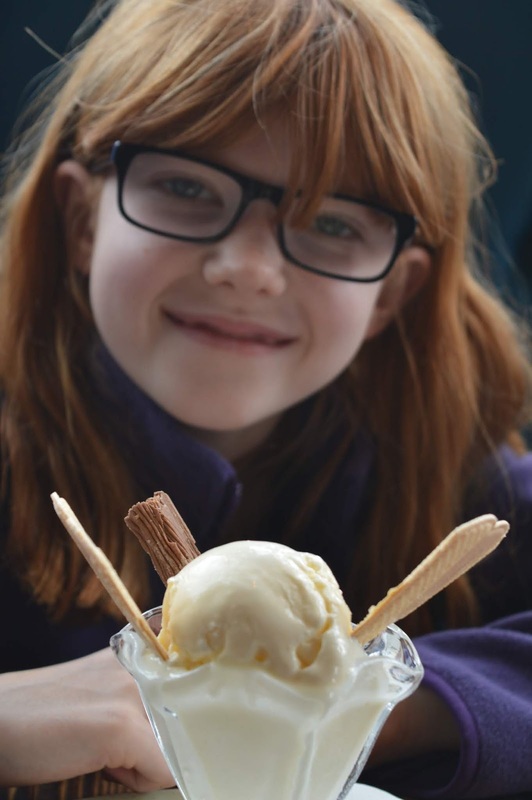 Kids can also order half portions from the main menu too. My three went for pizza, chicken nuggets and burger and there were clean plates all round. Their chips looked lush but I wasn't allowed to try one so you'll have to take their word for it. 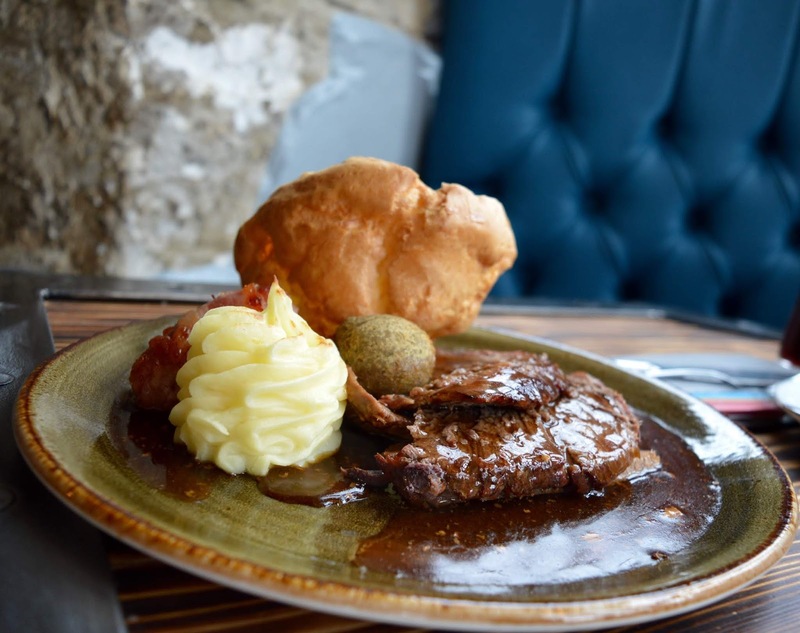 When it comes to Sunday lunch in the 1189 restaurant, I could not believe the prices. 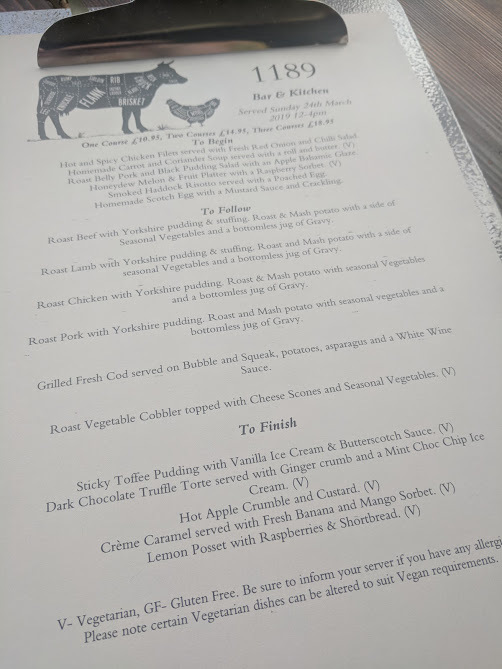 Ingredients are locally sourced, the service is exemplary and the food it beautiful so I think the fact that they're charging just £10.95 for a main course is the bargain of the century. 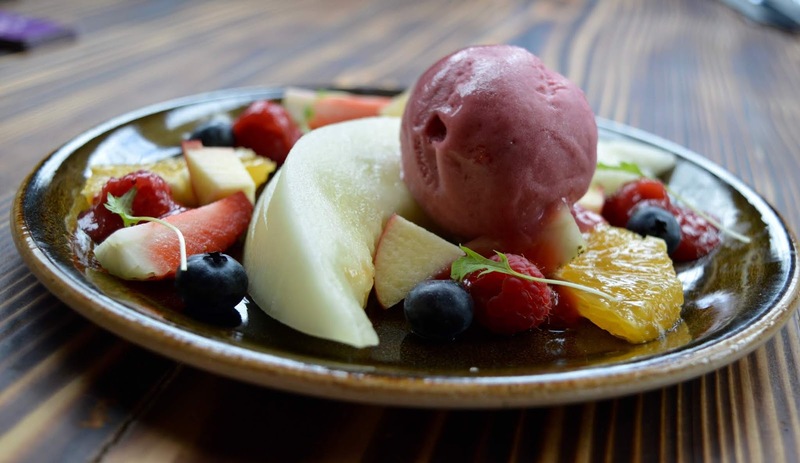 You can enjoy two courses for £14.95 or three for £18.95. If we were to visit again, I'd probably go for a starter and a main and maybe share a dessert as the portions here are pretty big. Below is a sample menu of what to expect on a Sunday. 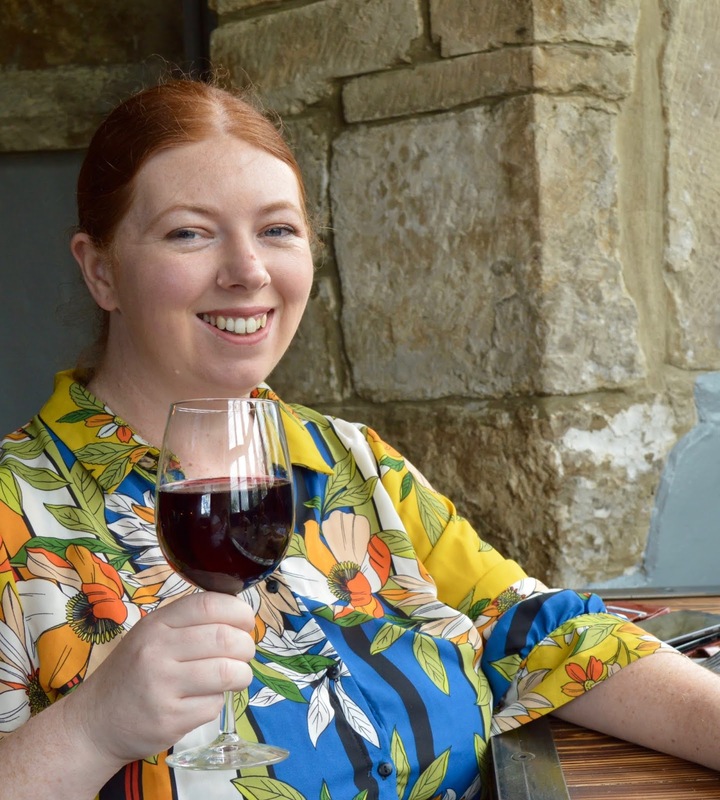 The dish presentation at Walworth Castle is beautiful and that little extra effort goes a long way into making you feel like you've had a lovely day out. 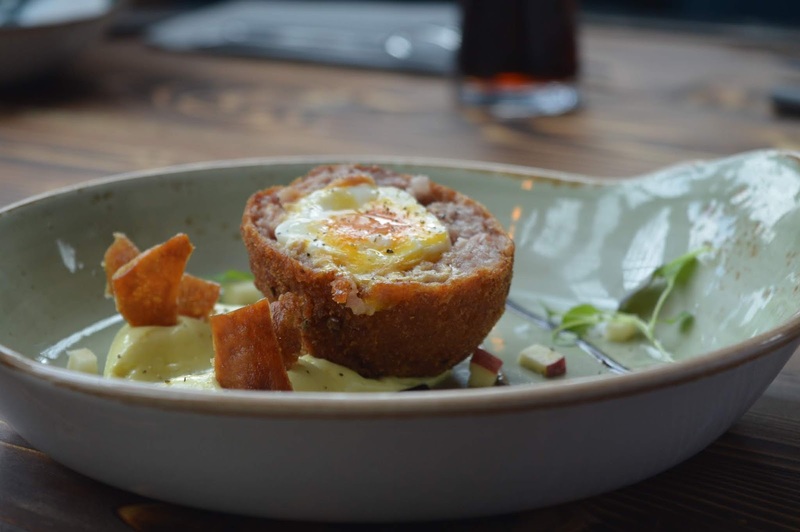 My melon and sorbet was spot on and Steve declared his scotch egg to be perfect. 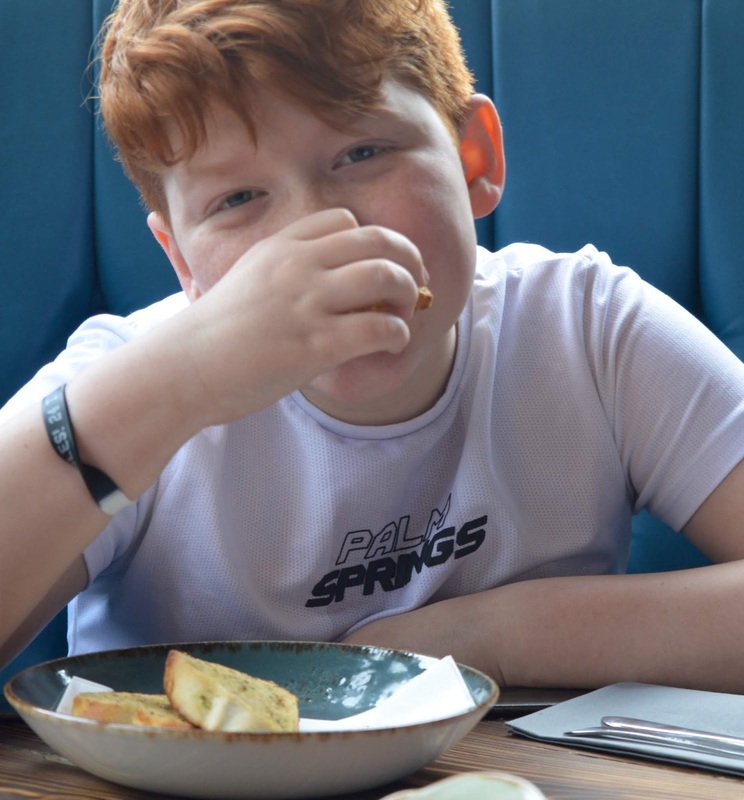 Harry was the only one to try a starter from the children's menu and I didn't even get a chance to photograph his garlic bread before it was inhaled. He said it was good though. The main really was the star of the show. 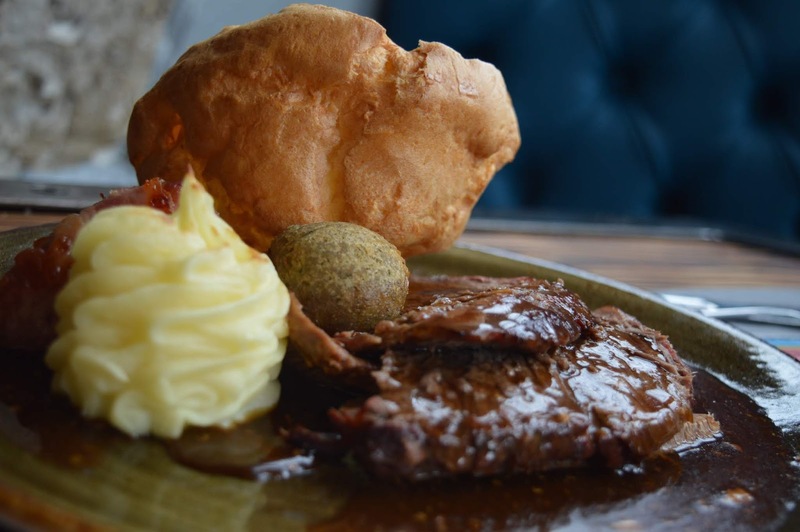 I ordered my favourite roast beef which was beautifully tender and served with thick meaty gravy. 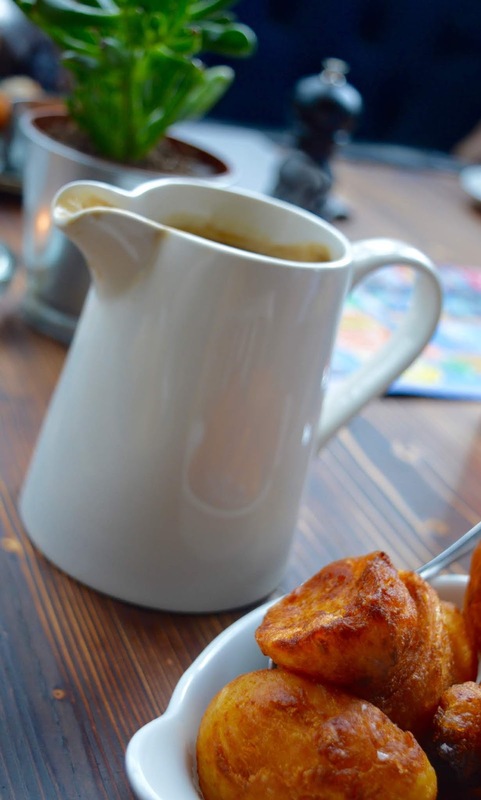 You're given a huge jug of extra gravy on the side as standard here so bonus points for that. 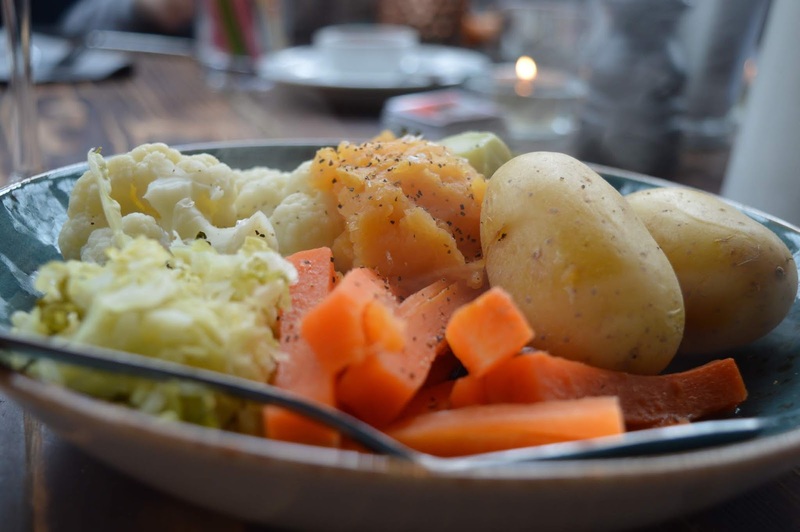 Our Sunday lunches were served with creamed potato, two pigs in blankets (yeeeessss! 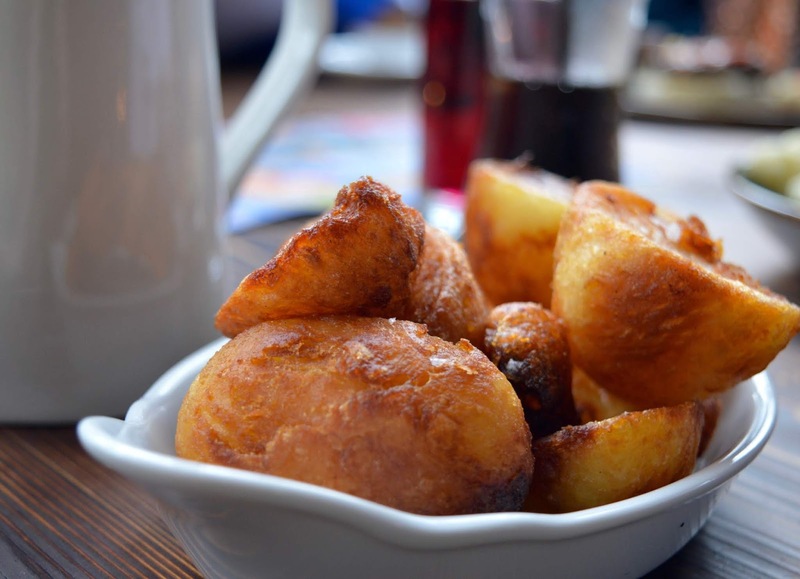 ), a homemade yorkshire pudding and stuffing ball and then we were presented with a huge bowl of veg each, a bowl of crispy roast potatoes to share and a big jug of gracy. I'm going to say this again, £10.95 is a steal. Our Sunday lunches were delicious and I could not find a single fault. I love it on a Sunday when we all sit around and feast together. It makes me happy. And onto desserts....... We didn't manage to catch a photo of Steve's dark chocolate torte with ginger crumb and mint ice cream before the ice cream toppled over but again, the presentation of our desserts was lovely. The kids were impressed with the little extra spun sugar on their plates too. 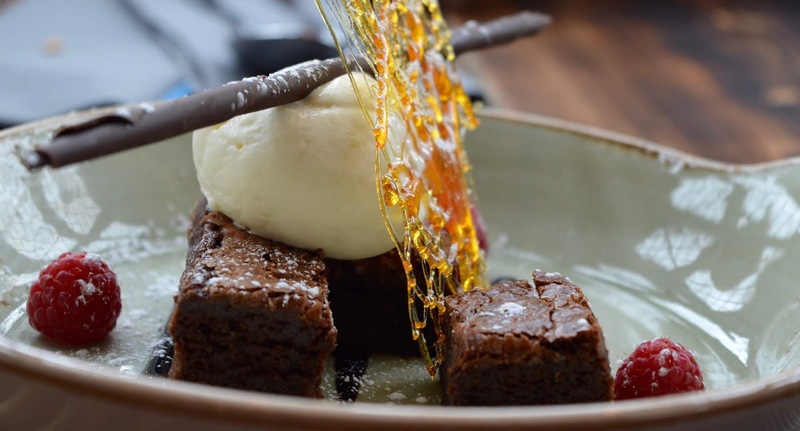 Although nice enough, the desserts didn't wow us like our mains and starters did. 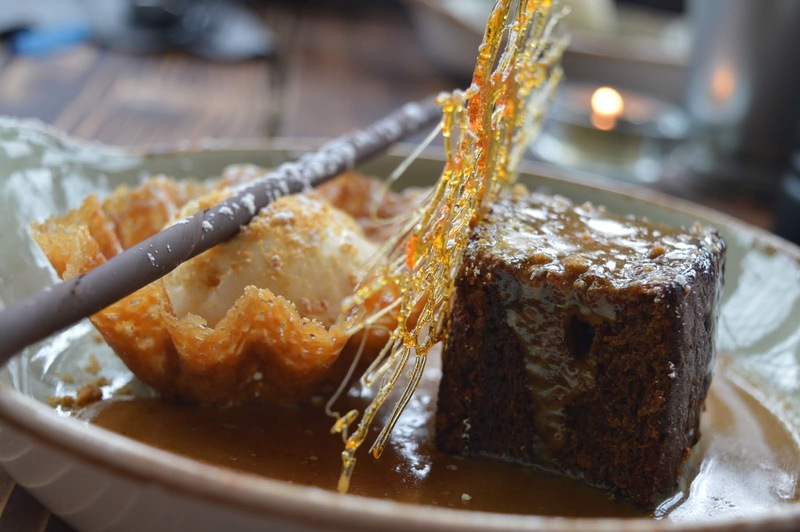 Harry and Jack found their brownie and sticky toffee pudding to be on the dense/dry side and my apple crumble was missing something -maybe a sprinkle of cinnamon? Steve's chocolate torte was the winner though and he was really pleased with his choice. 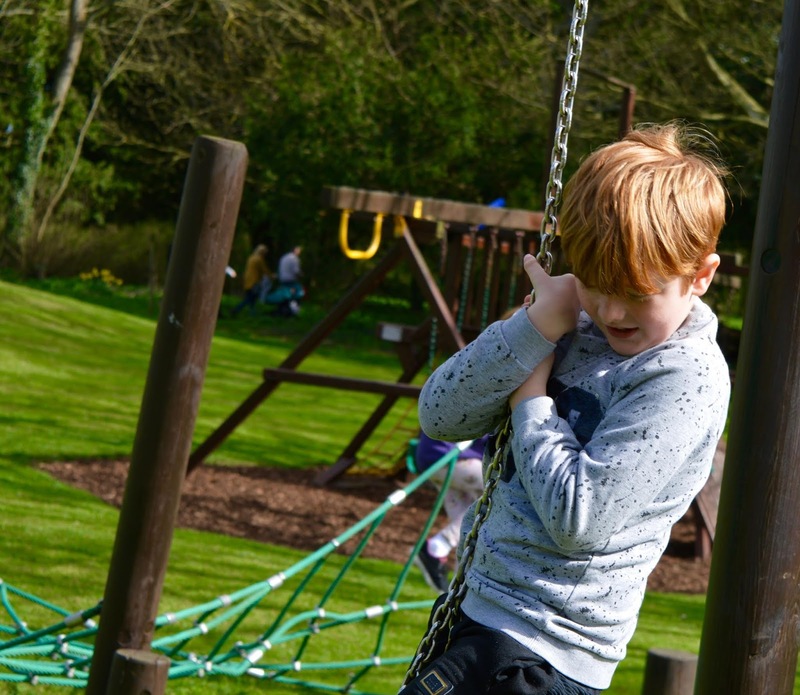 Next time, I think we'll stick to a starter and a main and then maybe have a little rest in the park/birds of prey centre before sneaking to Archer's Ice Cream Parlour along the road for an ice cream before heading home. 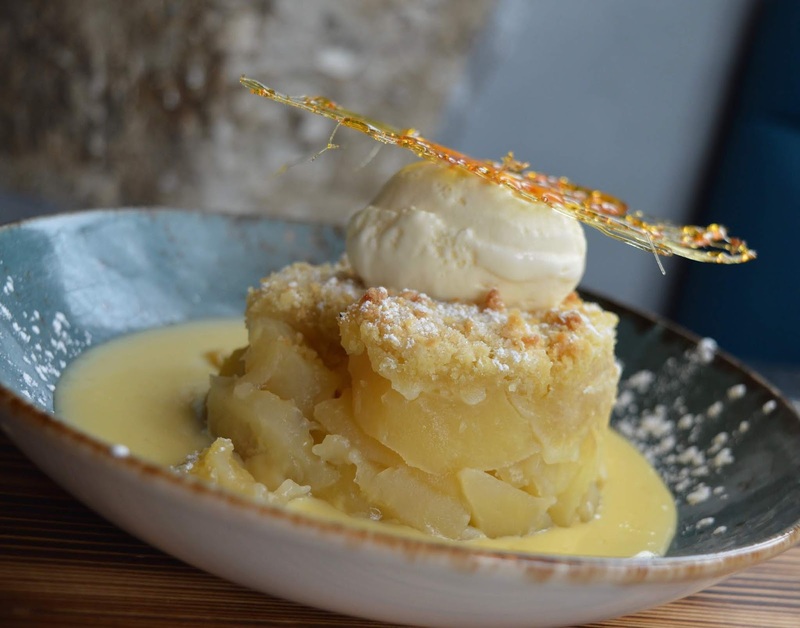 One of the most exciting things about dining in a Castle is that it's steeped in history. 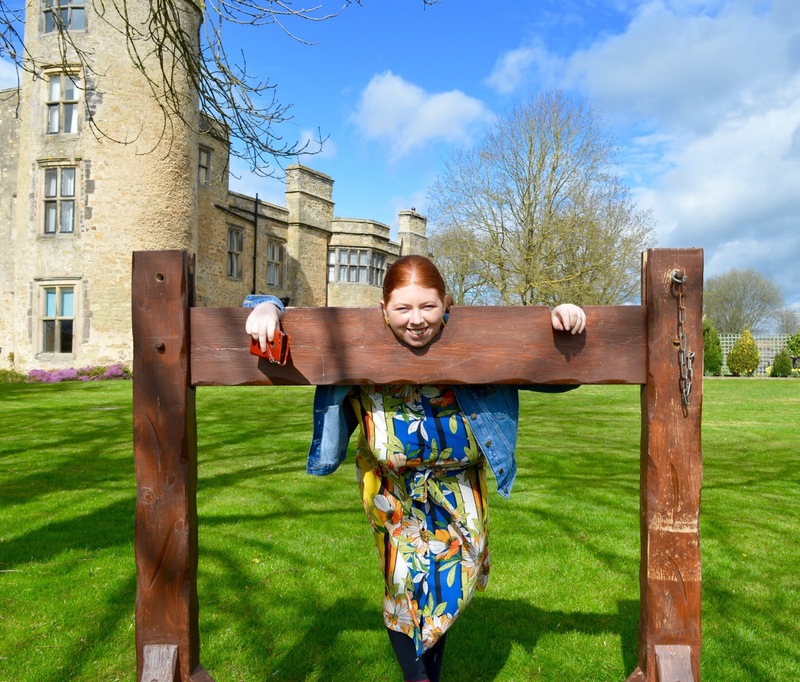 You can pick up information leafets around the castle to learn more about it's past and even ask a member of staff nicely if they'll show you the Castle dungeons. The staff are super knowledgable and shared tales with the kids about how there are 12 miles of tunnels surrounding the castle, we were shown one of the tunnel entrances where somebody once tried to break in and couldn't believe the story of one of the previous owners' wives being crucified into the castle walls - her bones are said to still be in there now. 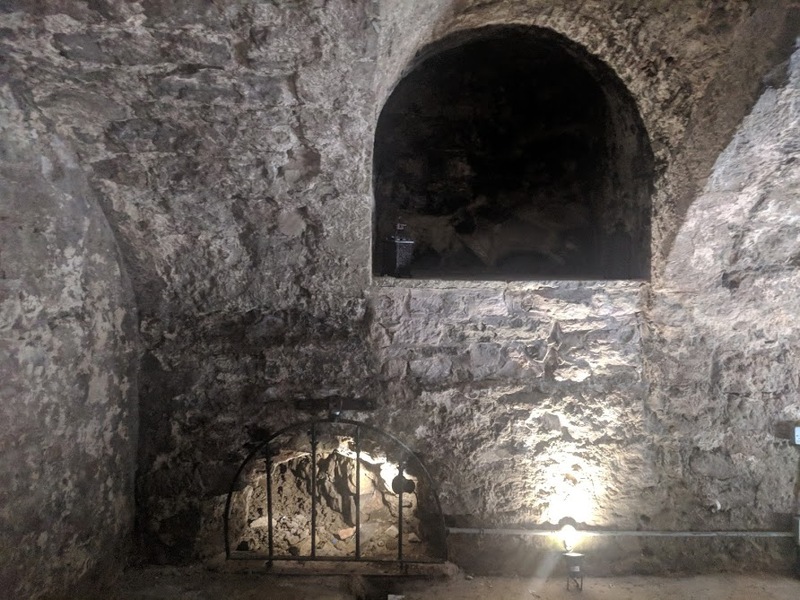 If you're interested in local history, definitely ask if there's anyone free to show you the dungeons and explain a little more about the Castle's past. It's really interesting. 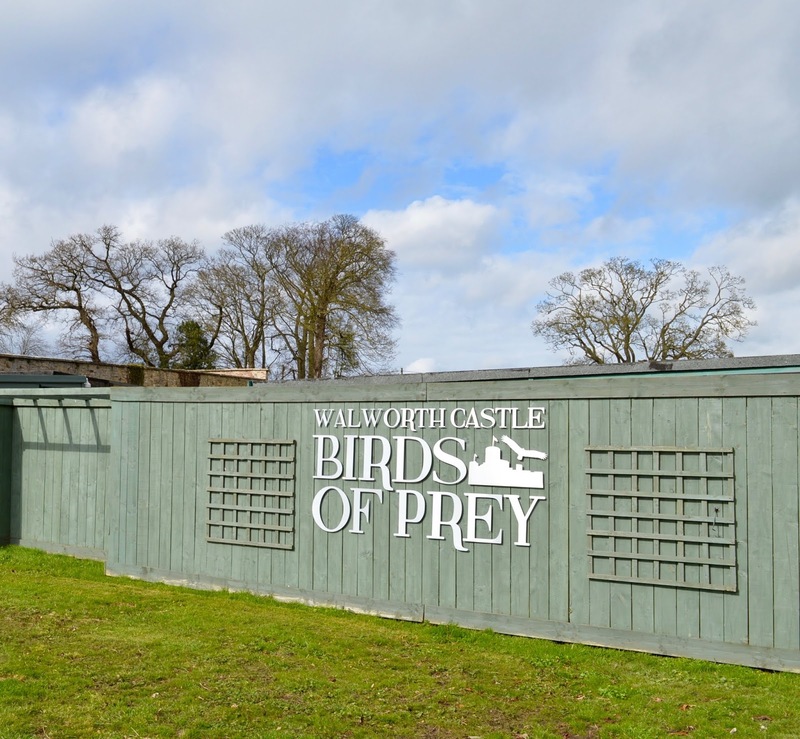 As if woodland trails, play parks and delicious Sunday lunches weren't enough, Walworth Castle is home to its very own Birds of Prey Centre. 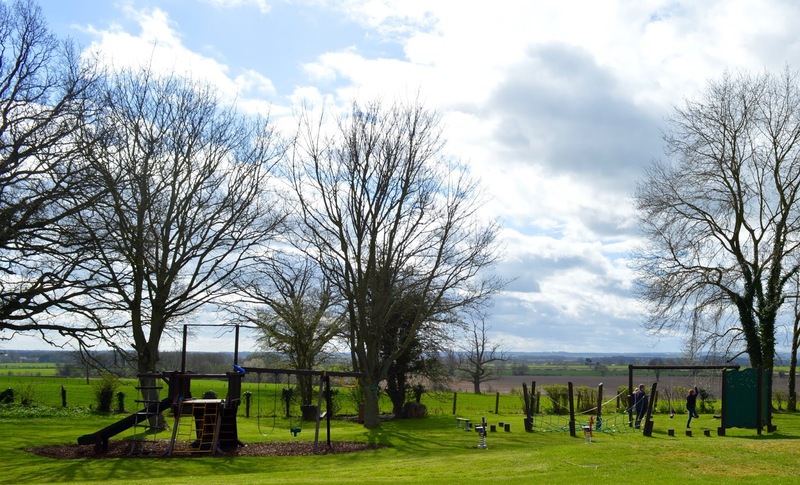 The centre re-opens on 12 April (check out their website here for up to date opening info). 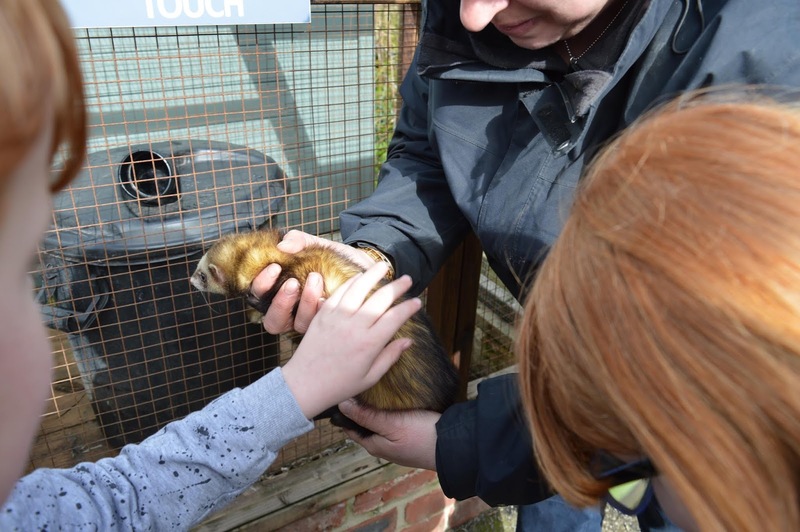 You pay admission once (£20 per family) and can come and go all day. 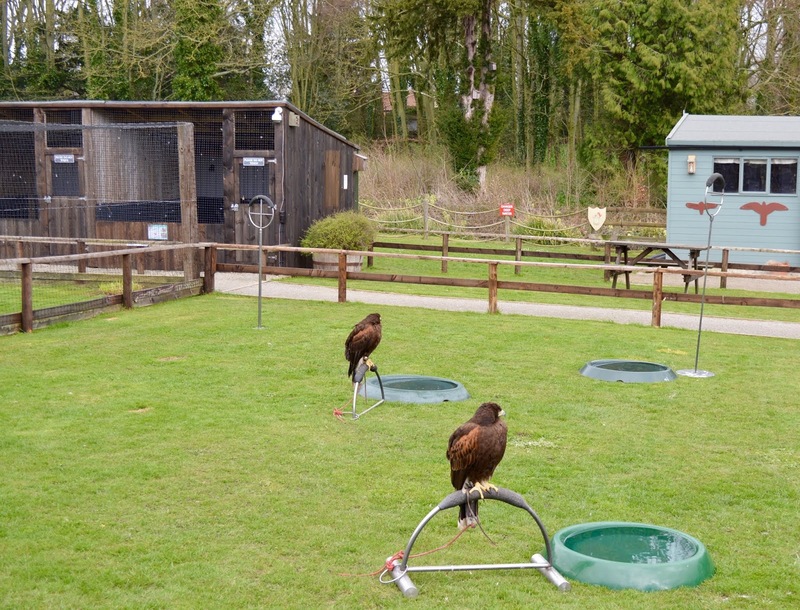 There are lots of birds of prey to meet including eagles, owls, falcons and kestrels. They really are beautiful. 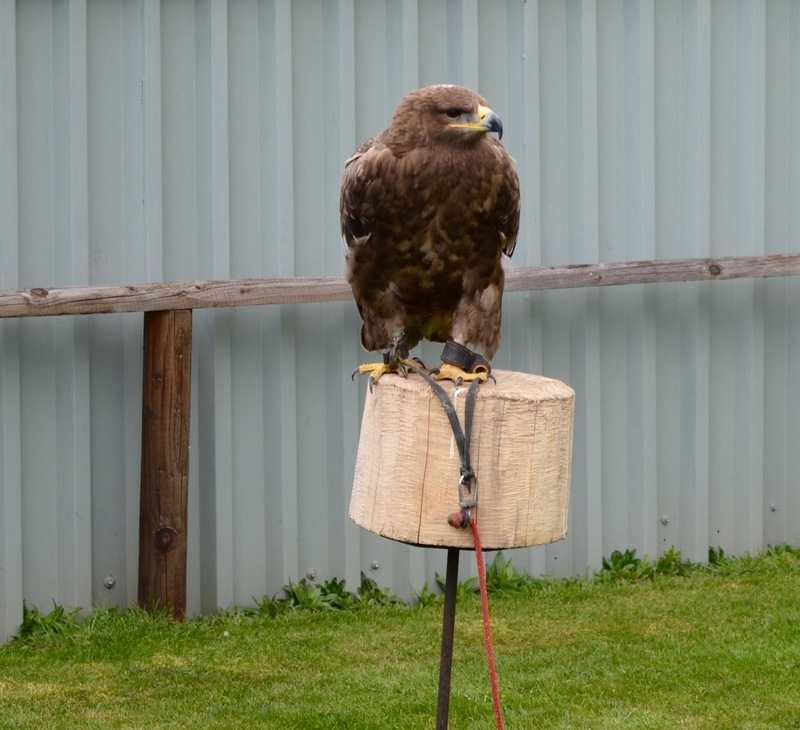 There is a fun quiz to take as you walk around and interactive flying displays take place at 1:30pm and 3pm. There's also a craft hut with seasonal crafts and lots of information for inquisitive types. 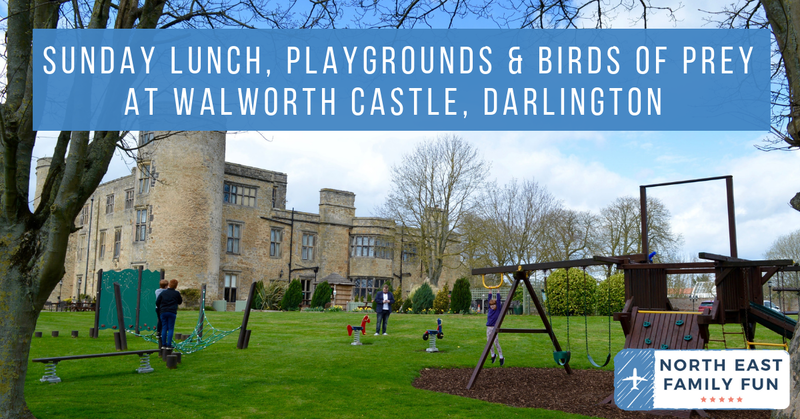 I love the set up here and think my ideal day here would start with a play in the park and the nature trail, then we'd pop into the Birds of Prey centre and take their quiz/meet the birds, then head into the Castle for family Sunday lunch before catching a Birds of Prey flying display and perhaps a final play in the park before heading home. Sounds perfect to me! 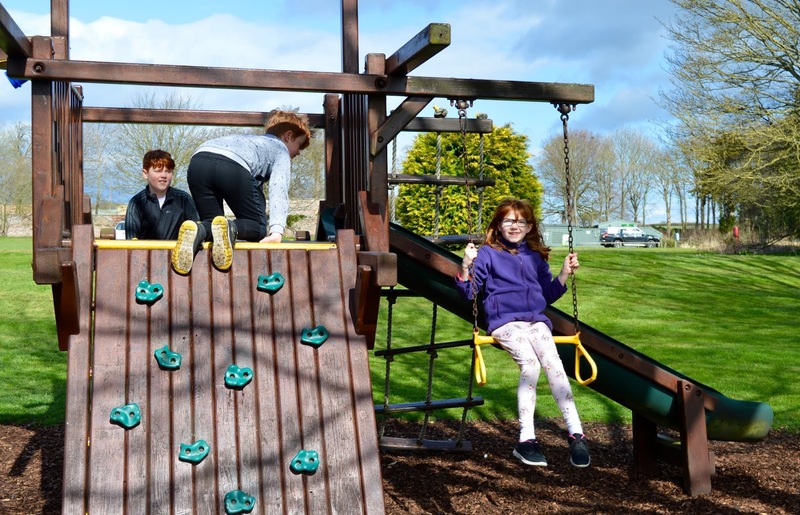 27 May - Family fun day with lots going on including Punch & Judy, face painting and fairground rides. FREE entry. 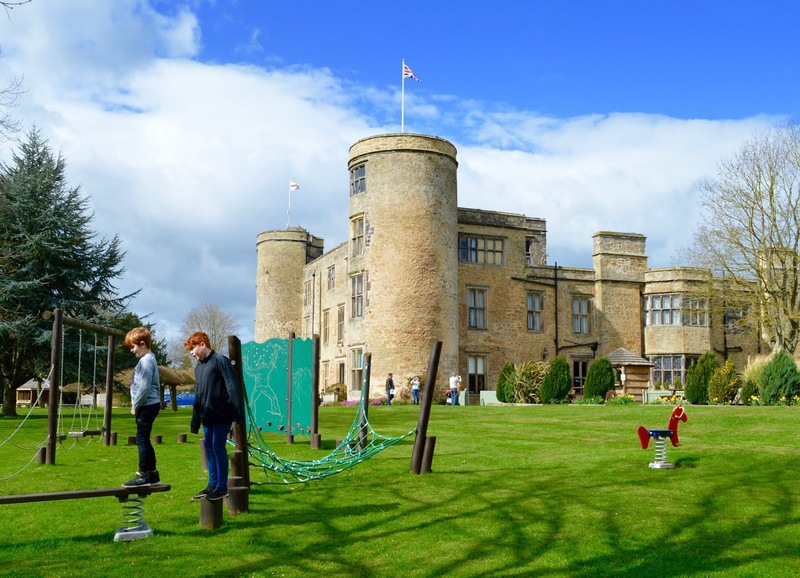 It's almost easy to forget that first and foremost, Walworth Castle is a hotel and makes a wonderful base for nearby days out including High Force Waterfall, Bowes Museum, Barnard Castle, Shildon Railway Museum, Beamish and Durham amongst others. 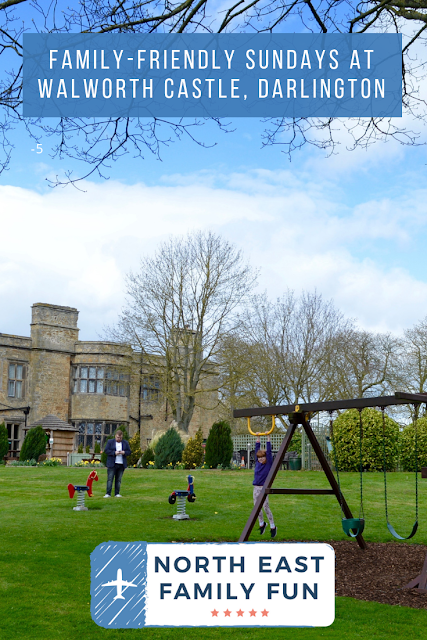 You can take a peek at one of the Castle's magnificent hotel rooms over on While I'm Young here. Let me know if you've ever visited or fancy spending a day here. 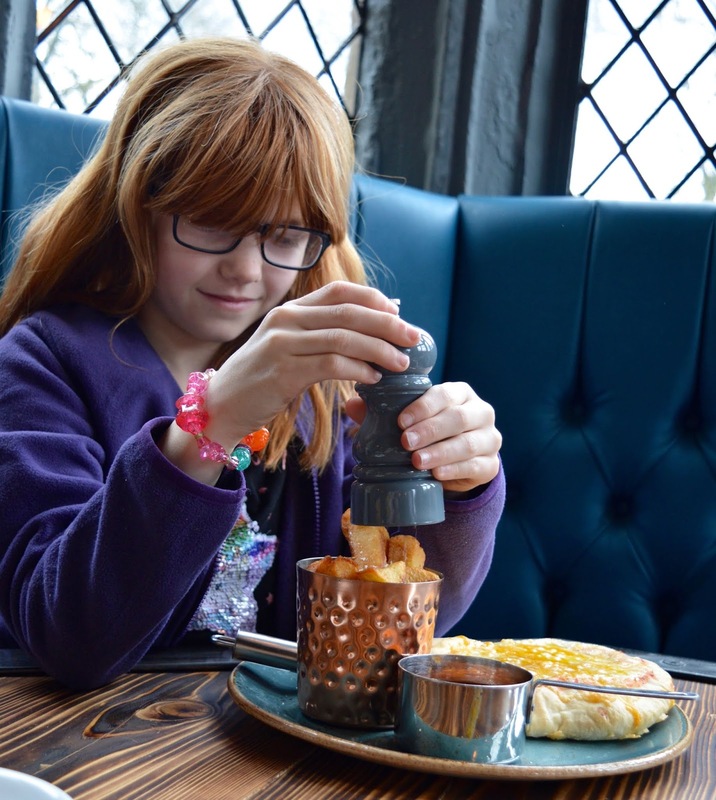 Oh wow, I want to eat in a castle! The interiors look beautiful!